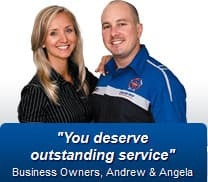 Dr.DRiP Sydney Plumbers offer a wide range of plumbing and specialised services. No job is too small or large. Our work is guaranteed to be of the highest standard, we employ friendly, customer focused staff and our tradesmen always wear uniforms that are easily identifiable. 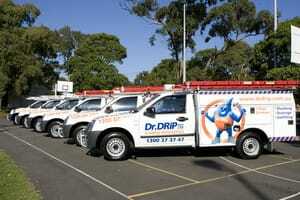 Dr.DRiP specialises in all aspects of blocked drains including maintenance and repairs. Our team of qualified tradesmen are able to diagnose the problem and will provide recommendations to permanently resolve your drainage issues. We also offer our professional advice providing you with the best solutions possible for all of your hot water needs, ranging from instantaneous to solar hot water system installations and repairs. 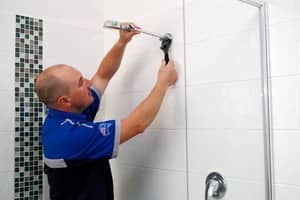 Dr.DRiP services include but are not limited to the installation, repair or replacement of kitchen and bathroom tapware, sinks and vanities, toilets, bathtubs and showers. Dr Drip is always reliable, thorough and friendly. Stewart gave us great advice and helped us enormously. Fantastic! Fast and friendly. I've used for work and for home and for Body Corporate issues and can find no faults. Reasonably priced! The guys explain everything in easy to understand language and don't try to patronise you. When our sink was backwashing they came first thing the next morning and fixed it quickly. Recommended to friends, family and co-workers. My only complaint is that I hadn't heard of this company earlier. Amazing company! Nothing you'd usually expect from a plumbing place. Awesome service at the office, efficient booking process, turn up on time and leave your place cleaner than before! Will recommend to all my family and friends. Thanks DrDrip. Fantastic service! I have used drdrip numerous times and they never cease to amaze me with their professionalism. Highly recommended!